Founded in 1981, Madcap Puppets, a Cincinnati-based theater group, is known for performing nationwide for audiences of all ages and backgrounds. The traveling group presents shows in schools, community centers, outdoor festivals and concert stages. Since its beginning, Madcap Puppets has called the Westwood neighborhood of Cincinnati home. For many years, its offices were housed in a former savings and loan building. 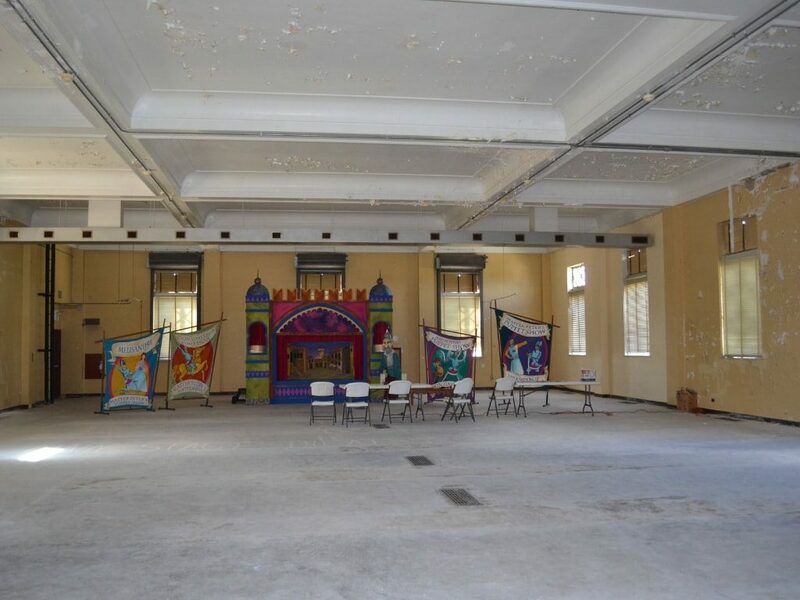 That space simply wasn’t large enough to accommodate Madcap’s dreams of offering performances and classes on site. 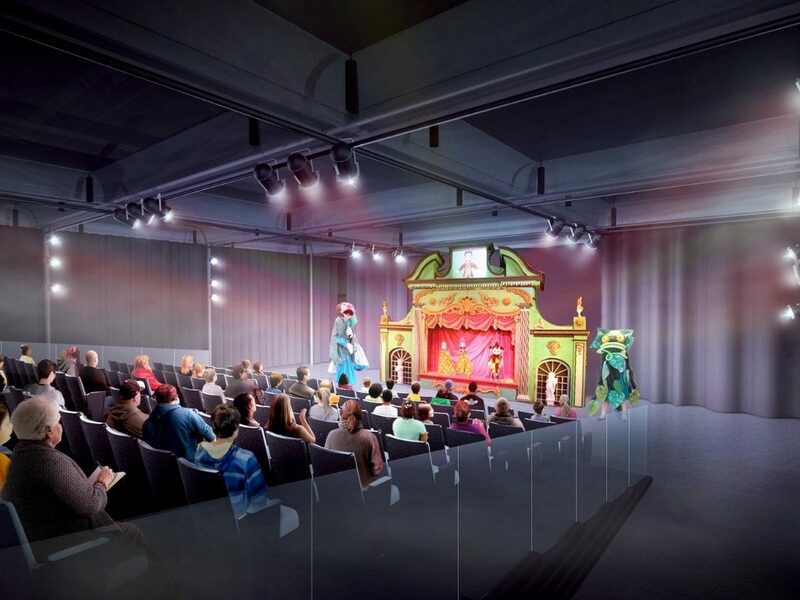 Madcap envisioned an education center and theater to fully realize its potential. The group identified a former Cincinnati Bell switching station, where operators once manned busy switchboards. Madcap tapped into A359’s urban redevelopment and renovation expertise for the project located on Cincinnati’s west side. In 2012, Madcap purchased the Cincinnati Bell Exchange building for $1 from the Westwood Community Urban Redevelopment Corp. (WESTCurc). From the early stages of this process, A359 provided assistance to Madcap in the form of building surveys, assessments and conceptual planning. After many years of fundraising and securing local grants, Madcap had raised $1 million. But it wasn’t enough to transform the building. A partnership with Cincinnati Landmark Productions (CLP) in 2017 added momentum. CLP, which operates several local theaters, had been looking for space to host classes. 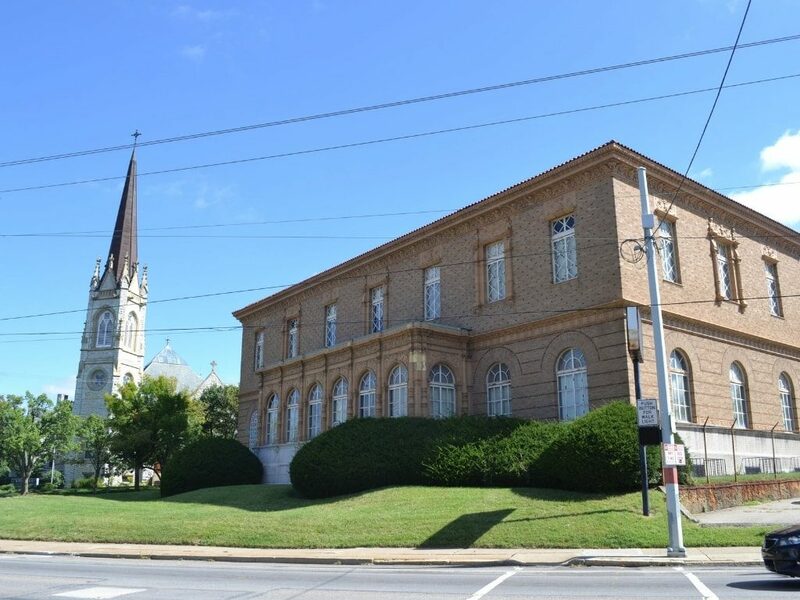 Together, the two entities raised more funds and secured New Markets Tax Credits from the Cincinnati Development Fund in addition to the City of Cincinnati development grant. 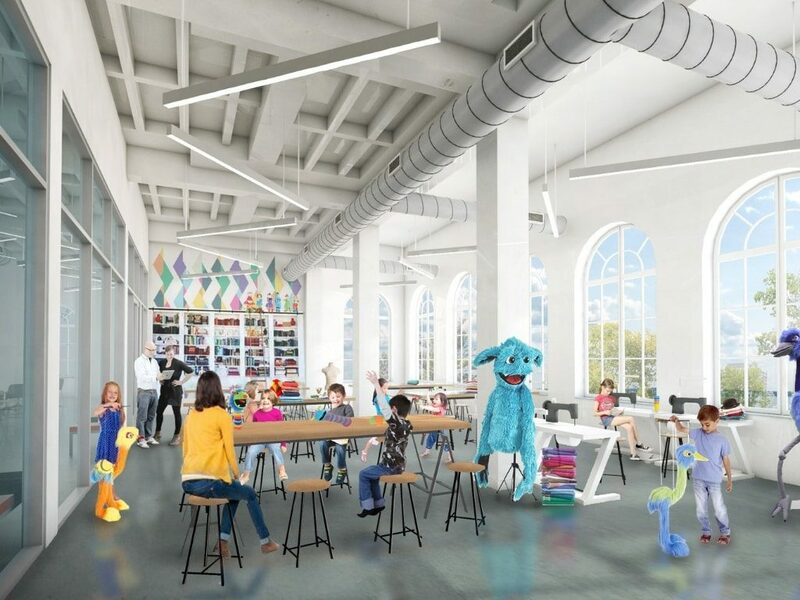 As they worked toward raising $3.4 million for the project, A359 completed the design for the 130-seat performance space, classrooms, studios and production space for puppet making and scene building. 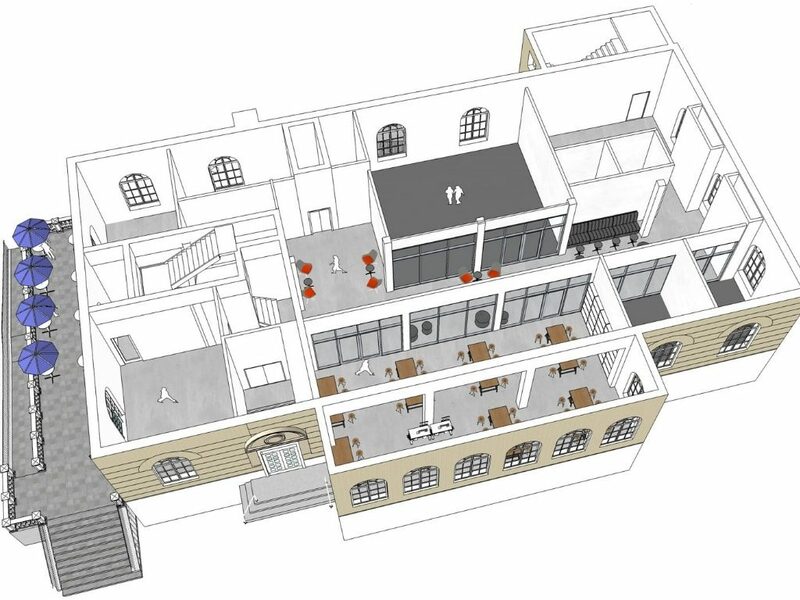 Renderings of the building’s amenities were developed to showcase the concept with the public and assist in the fundraising process. 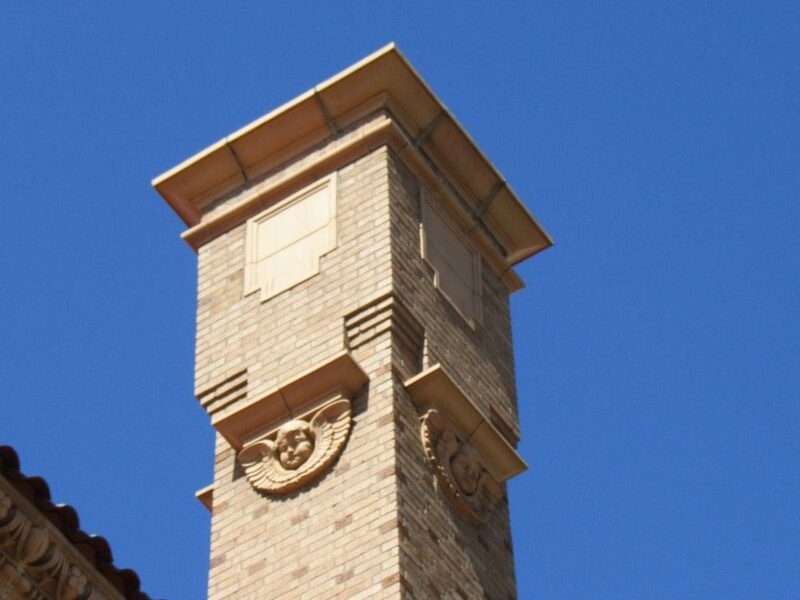 In the 1920s, architect Harry Hake designed the former Bell Telephone Exchange Building. 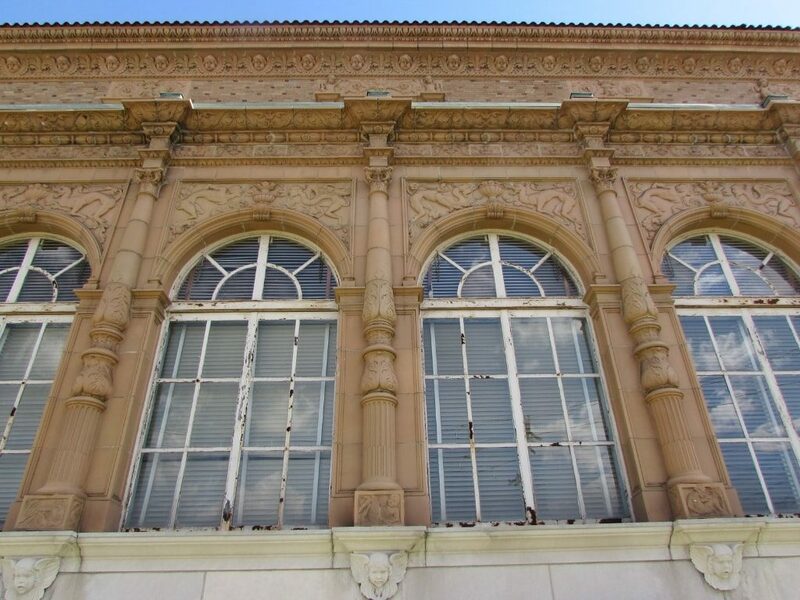 Opened in 1928, the Classic Revival building shows influences of Italian Renaissance style. It features arched windows, a tile roof and an exterior heavily ornamented with terracotta cherubs. 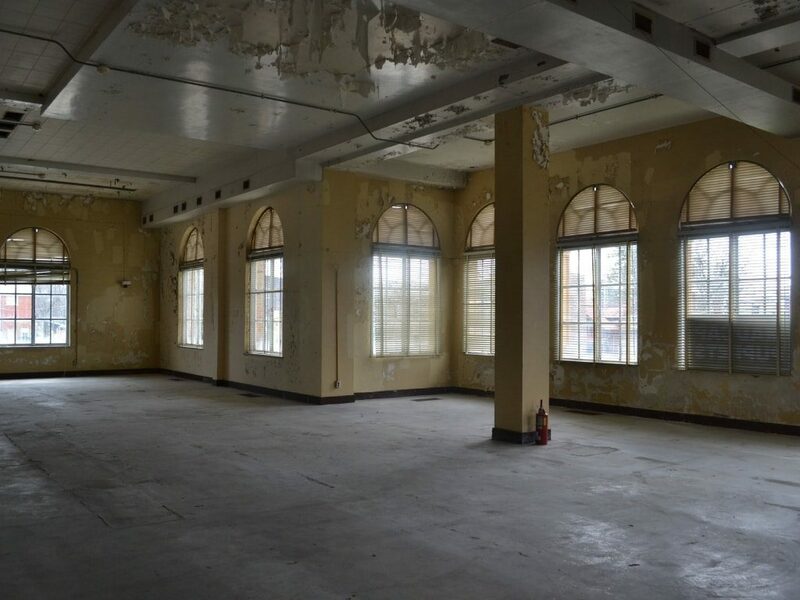 Following the closure of the telephone exchange, the building served as a book repository for the Public Library of Cincinnati and Hamilton County. A359’s design utilized this historic open floor plate for a full lineup of amenities for the arts and education center. Space for pre-performance gatherings is available both upstairs and down. The first floor offers a dance and drama studio and voice instruction rooms. In the large classroom space, students can learn from teachers on-site or through live-streamed classes online. 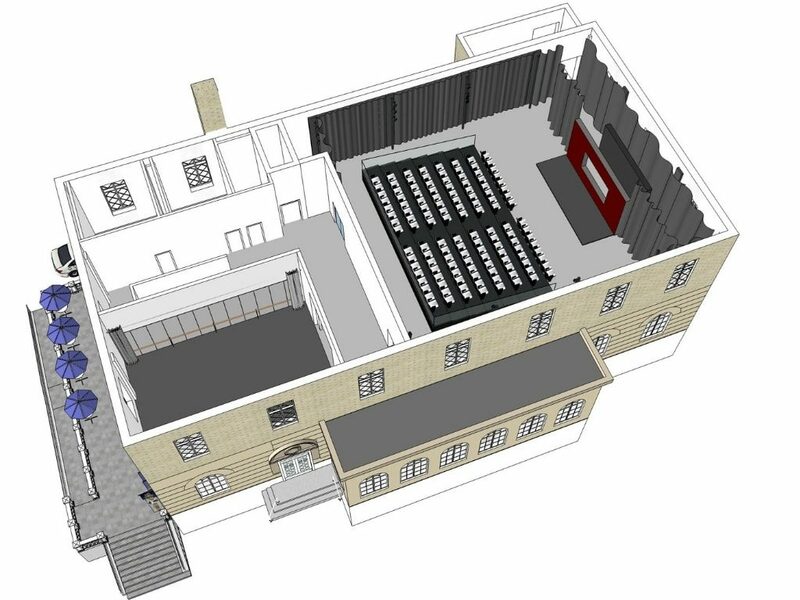 The upper floor features a theater for performances of all kinds, served by a green room on the first floor. 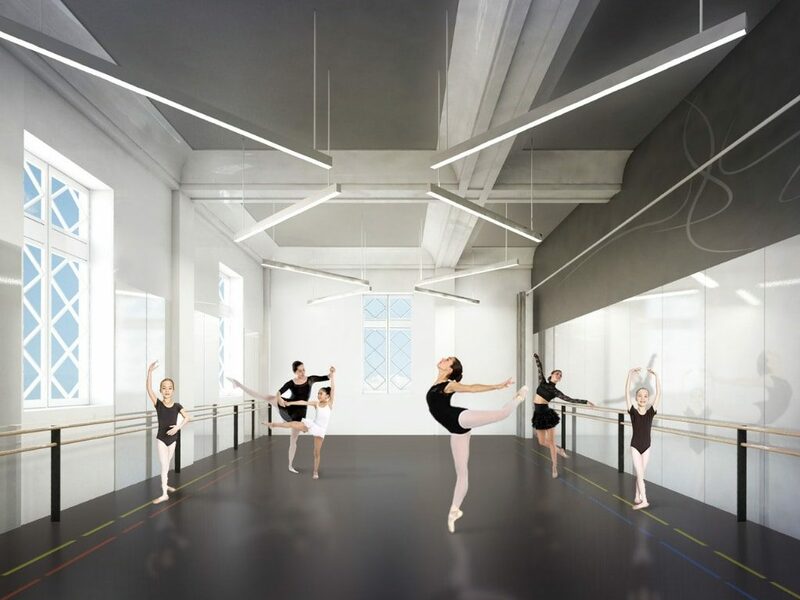 Plans for the center also include hosting kids’ camps and rehearsals for performing groups. 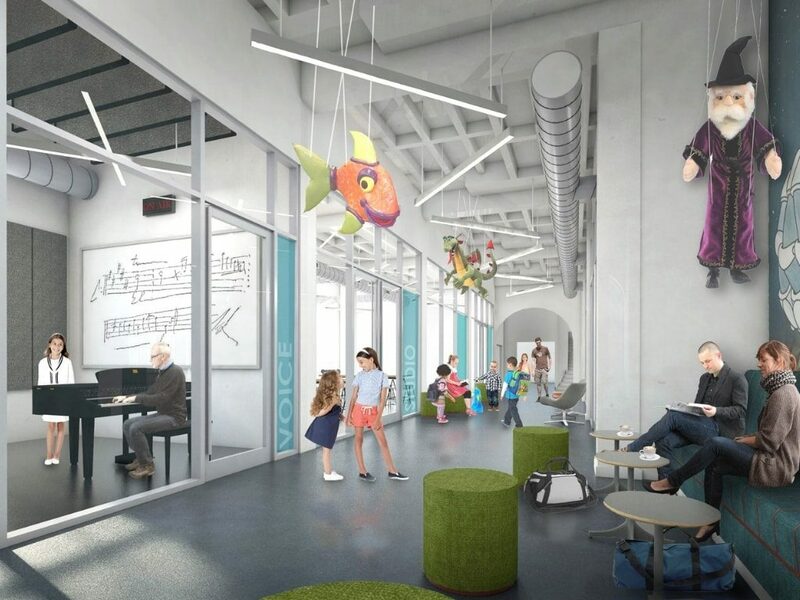 The Madcap Education Center takes center stage as a catalyst for growth and revitalization. As the culmination of years of planning and far-ranging imagination, the center created critical mass to further propel the rebirth of the business district and reposition a building empty for years in the historic Westwood business district. 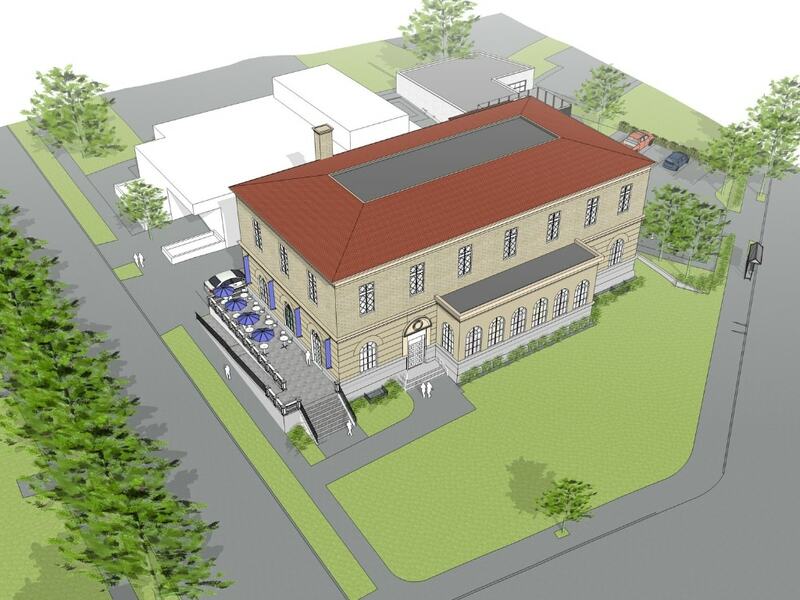 In part, the early vision for the Madcap center kick-started investment in the area, leading to Cincinnati Parks' improvements to the grounds of nearby historic Westwood Town Hall. Coupled with the resurgence of local businesses including an urban winery, a brewery, an upscale café and plans for a new restaurant in the historic firehouse, Westwood has rebounded in part due to the civic investment made in the Madcap center. Outside, a planned terrace spans the north side of the building. Accessible green space creates additional areas for events or socializing. I recommend the architectural firm A359 for their thorough dedication to client satisfaction, their attention to detail and the congenial atmosphere brought to all aspects of their collaboration. We would not hesitate to engage A359 on any project that requires historical preservation and a client-centered approach to the work. A359 provided strategic planning and design services for the center. Cincinnati Landmark Productions completed the project with a production architect.